The future of higher education: it’s going to be a major issue for the General Assembly this year, as well as a major issue at the national level with a new presidential administration. Colleges and universities are planning for their own futures as well, at a time of great uncertainty and significant transition. What should tomorrow’s colleges and universities look like? How should we be devoting our resources? What should our priorities be? What should be changed, and what should remain the same? 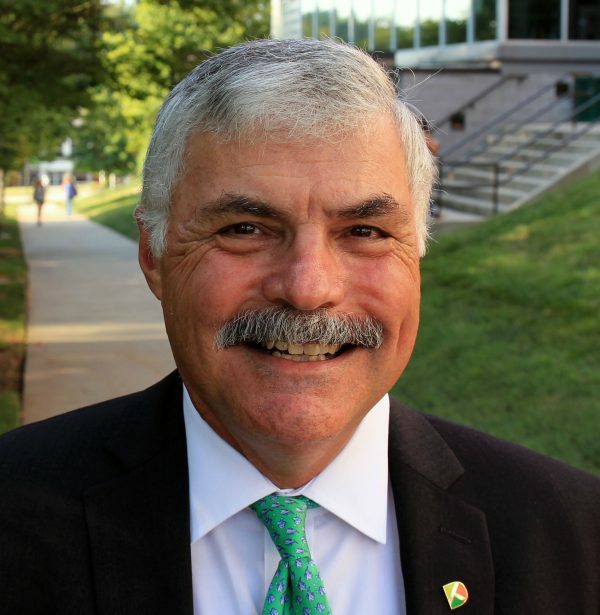 WCHL’s Will Arrington is looking into the future of higher education this year, with perspectives from all sides of the political spectrum. In Part 5 of a series, he sits down with one local higher education leader who understands the value of community college better than just about anyone. If there’s one thing that Democrats and Republicans seem to agree on when it comes to higher education, it’s that community colleges are going to play a much larger role for tomorrow’s students. Dr. Bill Ingram, President of Durham Tech, says that any changes made to the community college system have to be made with the understanding that they serve a different set than regular colleges. “[Students at community colleges] come with a wide variety of backgrounds, experiences and world views, unlike a university campus where the student body is fairly homogenous,” he says. He also says that students arrive at community colleges with the same ambition as those in four-year universities, though they may not necessarily have the same preparation. That being the case, he says access to tutoring and career services are much more important on community college campuses. Ingram says professors are often much more challenged at a community college campus than a university campus. “Having the capacity to work in an environment that’s a very heterogeneous environment, being able to serve students with a wide variety of learning styles, with a wide variety of interests, and being able to connect with those students in meaningful ways is the faculty’s biggest challenge,” he says. Ingram admits there’s not a magic solution to ensure colleges provide proper services or guarantee professors are able to connect with every student. He does say that while more money from the state is always helpful, he thinks that there needs to be a recognition that higher education in general has to be flexible in how it goes about its mission. Ingram also wants to change the perception of Durham Tech in the larger community. About half the student body is there for job training or a trade diploma, but Ingram says the staff and faculty of Durham Tech are aiming to portray it more and more as an institute for higher learning too. “We do provide a very high quality, affordable alternative to the first two years on a university campus,” he says. And to those who say getting an education is not worth the expense put into it? PreviousThe Caring Corner, presented by Acorn: Do I Need Long-Term Care Insurance?